Being here is an awesome opportunity and I wouldn't change it for anything! 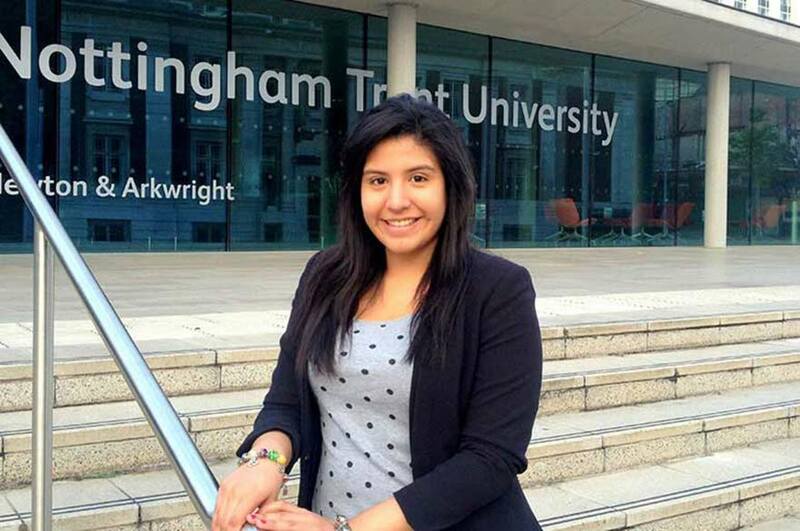 "Originally I am from Peru and I came to Nottingham to study a Foundation Certificate in Art and Design at Nottingham Trent International College (NTIC). After my time at NTIC I progressed to studying BA (Hons) Product Design at the University and I love it. I am always looking for new opportunities and I can speak English so I thought studying in the UK would be good for me. "I chose NTU after looking at the website. The facilities here are what made me choose NTU and I am glad I made the right choice! My course is really interesting and is taught with a realistic approach. The way the tutors present us with projects almost feels as if we are already working in the industry. This will really help with my future plans to get a job here in the UK – hopefully working in London for my idol, architect and designer, Zaha Hadid. As an international student, how do you find studying in the UK? "I love living in the UK, the countryside and its landscape is beautiful plus the country has a long and interesting history which I enjoy learning about. Everywhere is accessible for everyone and there are many traditions to learn. In the future I would like to live and work here so I can experience the life here while being completely independent. "The best thing so far has been all the people I have met. It has helped me to know so much about different world cultures and how people interact with one another. The streets are clean and safe and people are very polite to each other. This is something I would not have been able to witness at home in Peru and it is truly amazing. Being here is an awesome opportunity and I would not change it for anything!"